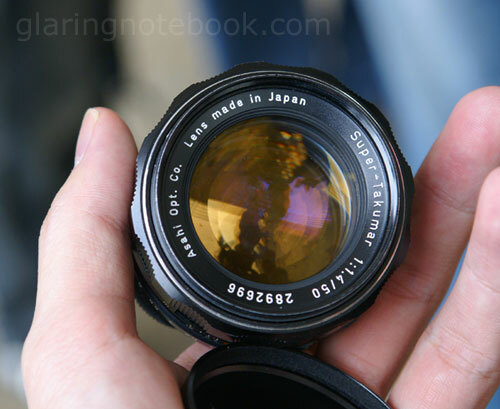 Random samplings from lenses from decades ago – the Super-Takumar 50mm F1.4 in M42 mount! 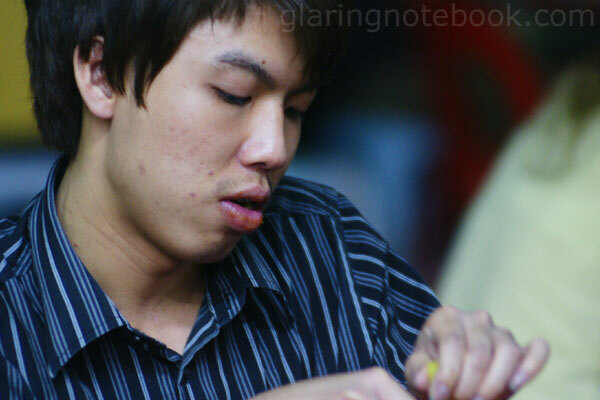 …and a random shot of someone sitting far away at a mamak. 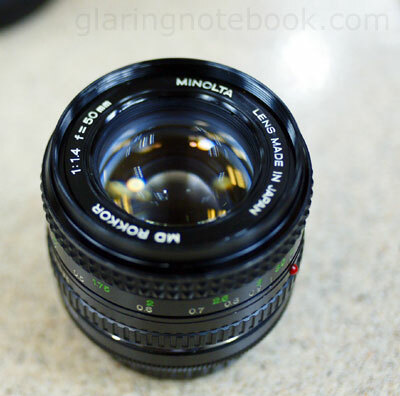 My former Industar 61L/Z 50mm F2.8 in M42 mount got real nice and close! 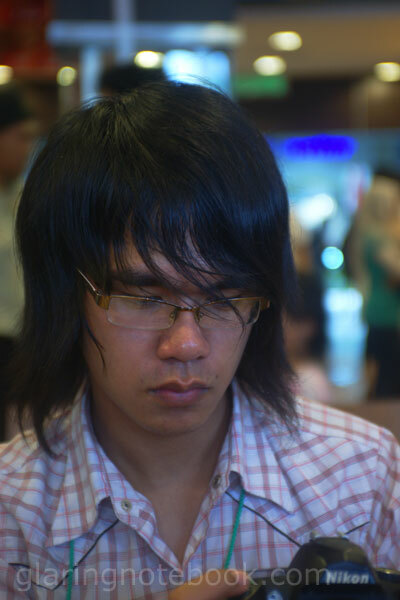 I’m guessing this was at F11. 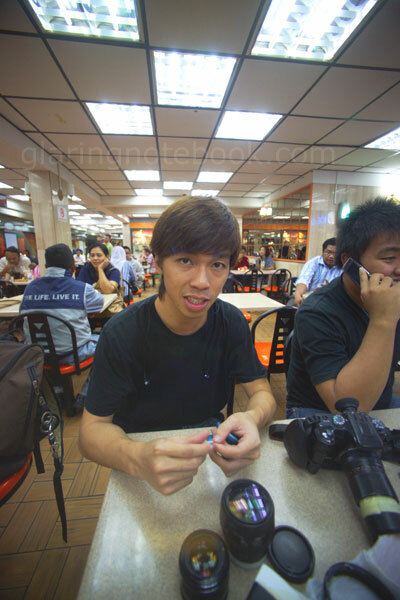 The Sigma 14mm F3.5 on the A900! 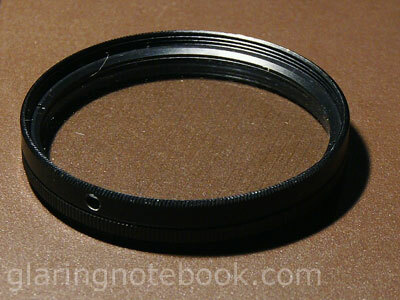 A 20mm lens, for example, only needs to extend 20mm from its default position at infinity, to focus at 1:1x magnification. 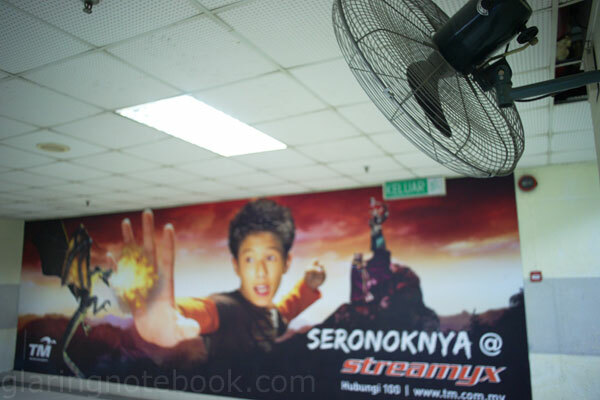 And here’s one from the Minolta 28mm F2.8 on the A900! 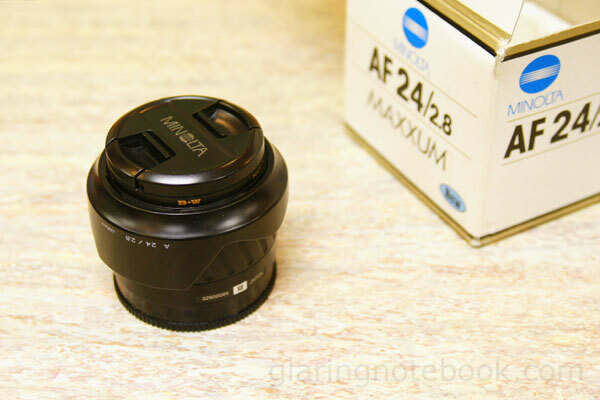 Mmm, lovely Minolta 24mm F2.8. 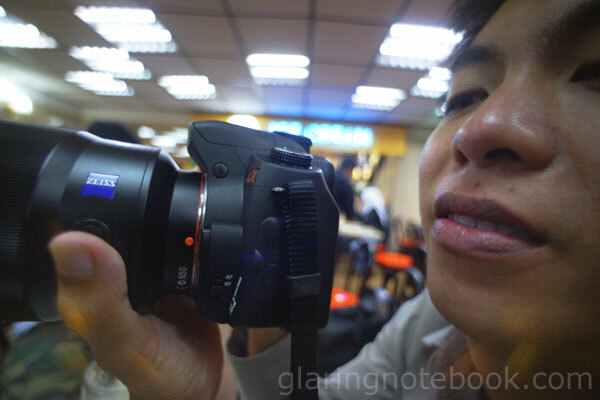 I wish I grabbed it for the A900 then. 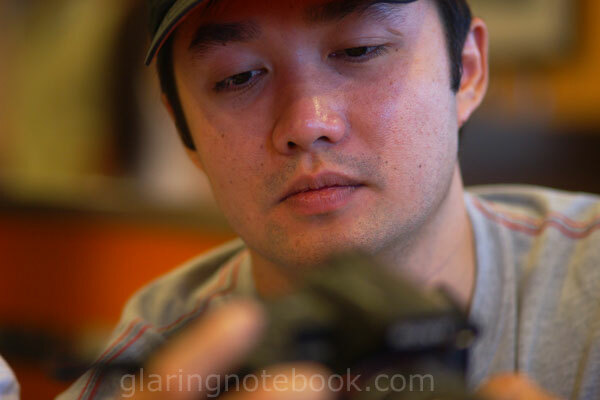 Still, F2.8 is lacking for what I shoot. 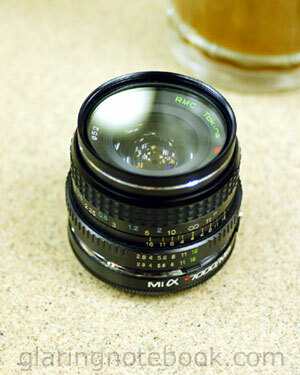 A tiny Tokina 28mm F2.8 in Minolta MD mount. 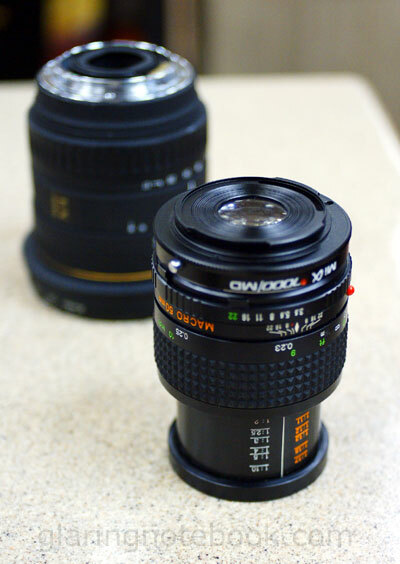 Another classic, the Minolta Rokkor 50mm F1.4 in MD mount. 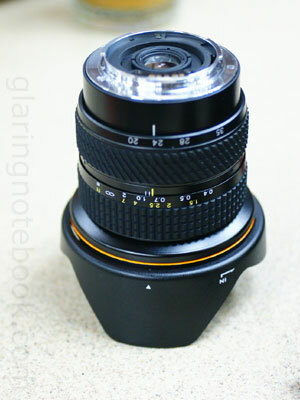 Tokina 20-35mm F3.5-4.5, an early ultra-wide angle zoom. 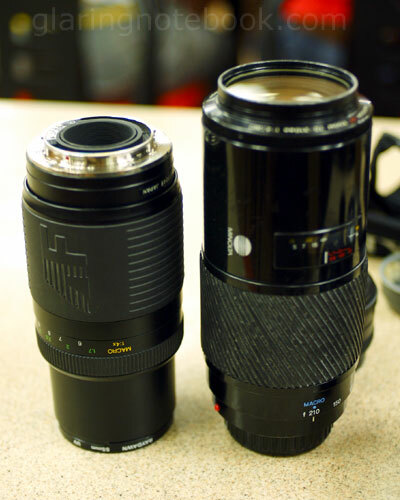 Left is the Vivitar Series 1 100-300mm F4.5-6.7, one heck of a light push-pull, while on the right is my venerable Minolta 70-210mm F4 beercan. 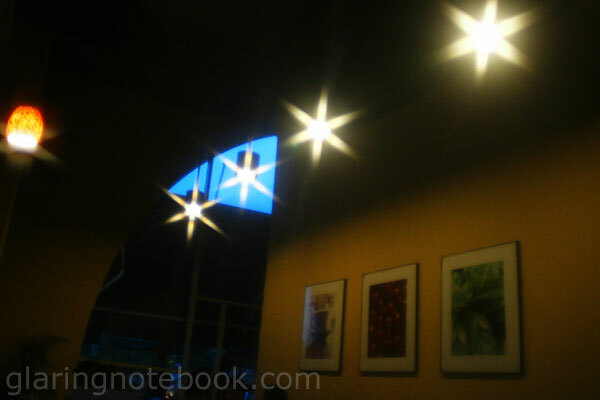 The cheesy star cross filter. 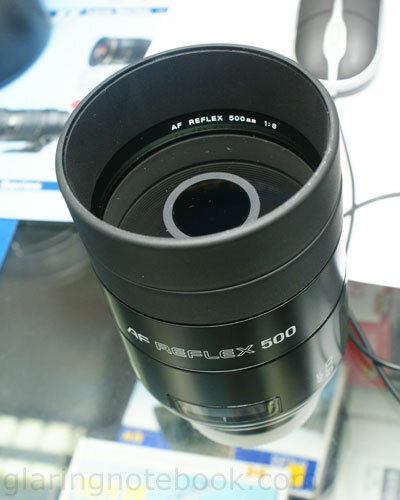 The Minolta 500mm F8 AF Reflex! 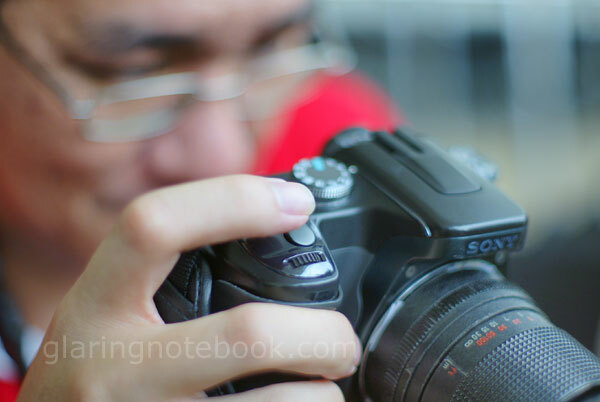 Special mention to AF in the name because it’s the only reflex lens in the world that can auto-focus. 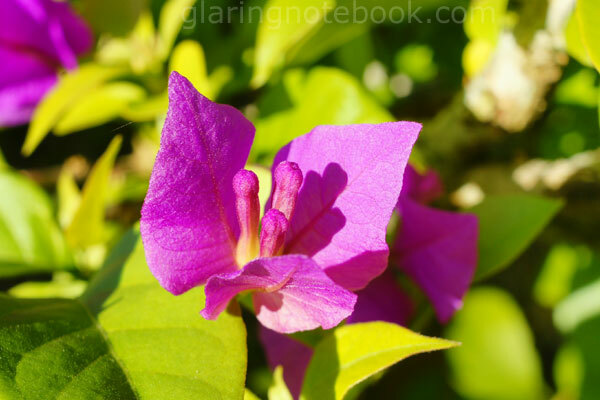 Light and small for its focal length! 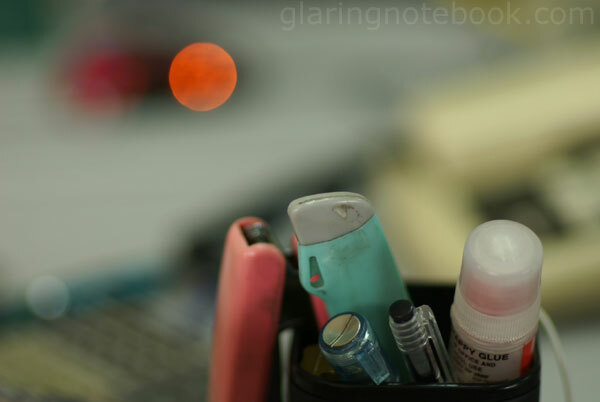 The subject of this picture is the orange out-of-focus highlight from the Minolta 85mm F1.4G – compare this to the somewhat bright-lined Nikkor AF-D 85mm F1.8 and this picture will make sense. The chunky Tamron 28-105mm F2.8 on my Minolta Dynax 7, the way it was meant to be. 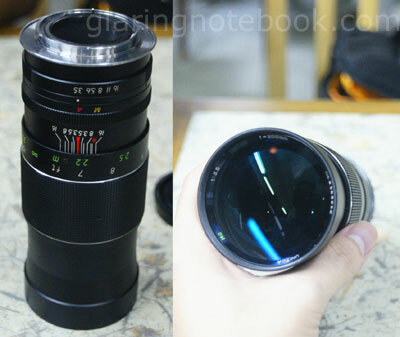 This is the 85mm F4.5 end. 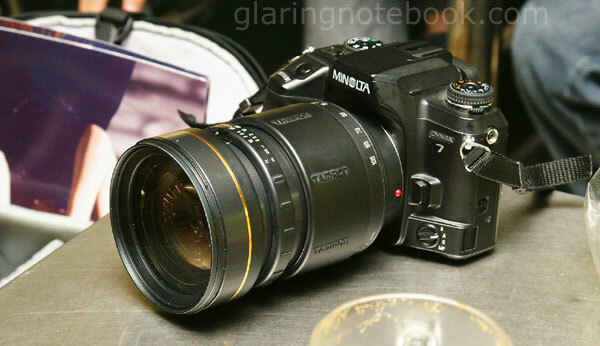 And finally, one from the pocket rocket, the Minolta 135mm F2.8. 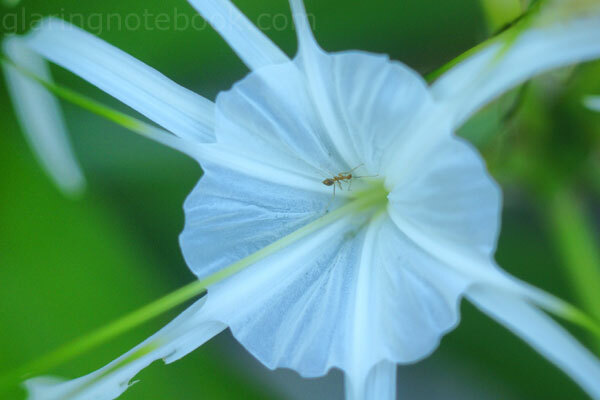 This entry was posted in Geek, Pictures on April 14, 2009 by 2konbla.